Have you ever wanted to try a new handbag color? A color out of the norm? Different to the usual brown, black and neutral palette? Well …. meet my wonderful new accessory friend – my fun and funky red handbag. Don’t you just LOVE it? <3 I wanted to show you how I have been wearing it over the last few weeks, so here are my daily outfits from my Instagram account. 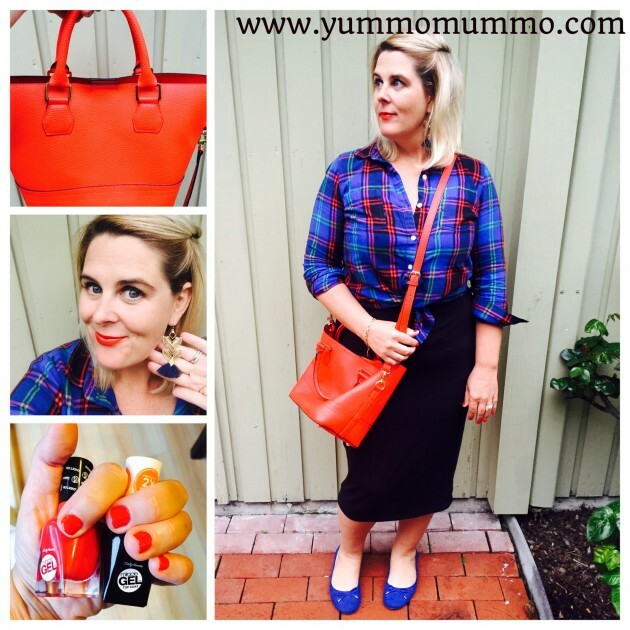 Follow me @yummomummo to be a part of this fashionable inspiration sensation. Side celebration note – I just reached 1.4K followers. (Any Instagram fashionista knows one works hard for every single one of those followers). So pop open the champagne and come and join the YummoMummo party. You’ll notice a bit of pattern mixing going on here with cheetah print flats and black and white stripes. Remember how I have said that black and white stripes are a neutral in the pattern mixing world, so they go with everything. This was an outfit that took me from birthday parties to shoe shopping for the kids on a Sunday afternoon. Loving this pop of red! 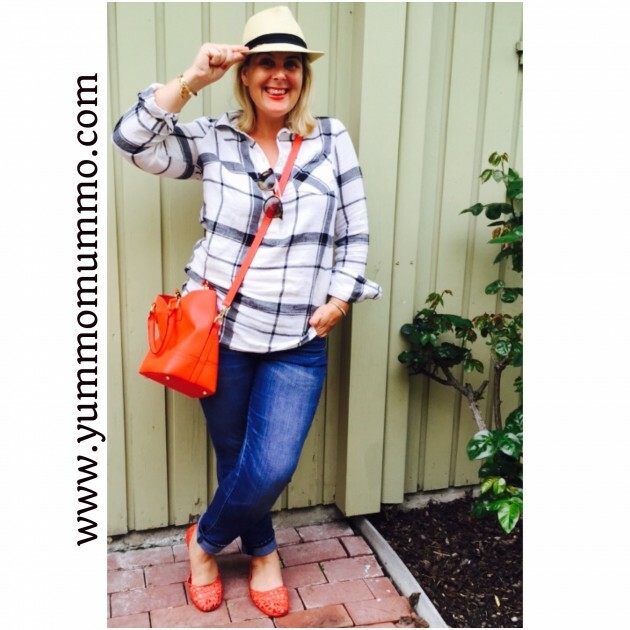 YUMMOMUMMO CAN DO WARDROBE CONSULTATIONS FOR YOU. READ MY TESTIMONIALS. Top of the morning to you (as I tip my hat)? No! In all seriousness, I am just trying to have some fun with my photos for your viewing pleasure. I think a pop of red goes beautifully with monochrome black and white, be it stripes or plaid. And on the color wheel, red and blue work so well together (more details on the color wheel in another blog post coming your way), so pairing the red bag with blue jeans is sure to be a winner winner chicken dinner. Love how all this just works so well together. Definite outfit repeat with this one. I wanted to show you how to mix the red handbag up with some colors of the same tone. 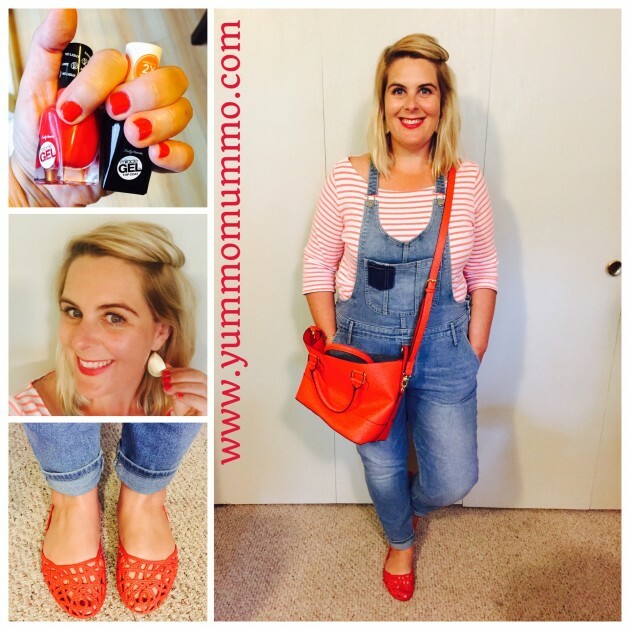 Paired with coral stripes in my top and coral Mox shoes, against the lighter wash denim. Preschool clean up duties await, hence the overalls! And who remembers my past collaboration with Mox Shoes? Well, they just turned the big ONE in the USA so I wore my Mox to join in on the celebrations. On a rainy day in California, I ditch the gumboots and wear my Mox made of 100% man made rubber. For my previous blog post on Mox, click HERE. Below I have two examples of absolute gorgeousness in the red bag department. Both are current and from Target and both are under $40. The one I have is also current and Target / $32.99 / but wouldn’t you know, surprise, surprise, I can’t find the link! But, I am sure if you went in-store, you will see it sitting right there staring at you and comes in a beautiful cobalt blue and two sizes – I have the smaller size. The first one can be reversed out into a burgundy color. Bonus, there are a bunch of different styles and prints (e.g houndstooth with a yellow reverse) that change out to so much colorful fabulousness. Something for everyone. This would make a great weekend/beach bag for those upcoming fun summer days. Imagine yummy-ing yourself through the Sunday Farmers market with this cross-body baby across your chest! Rad plaid. What a wonderfully comfortable outfit this was for a rainy Friday full of wonderful (aka boring) errands. Tie this plaid baby at the waist, turn the red bag into a cross body and hit those supermarket aisles. This was one of my favorite kinda days. I was booked for a wardrobe gig with a wonderful client. (Gosh, I could say that about all my clients, so I must have the best job in the world). Great chance to wear my tie up flats under a long flowing maxi skirt. Throw some animal print in their for a truly wild Wednesday and some chunky bracelets to go with my fabbo statement chandelier earrings. YUMMOMUMMO CAN DO WARDROBE CONSULTATIONS FOR YOU. READ MY TESTIMONIALS AND BOOK YOUR CONSULTATION TODAY. Leave me a comment (LOVE). I so enjoy hearing from my readers. Mwah! 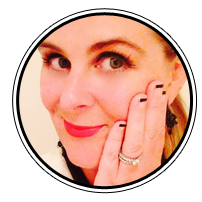 « Guest blogger – HER top 5 items!